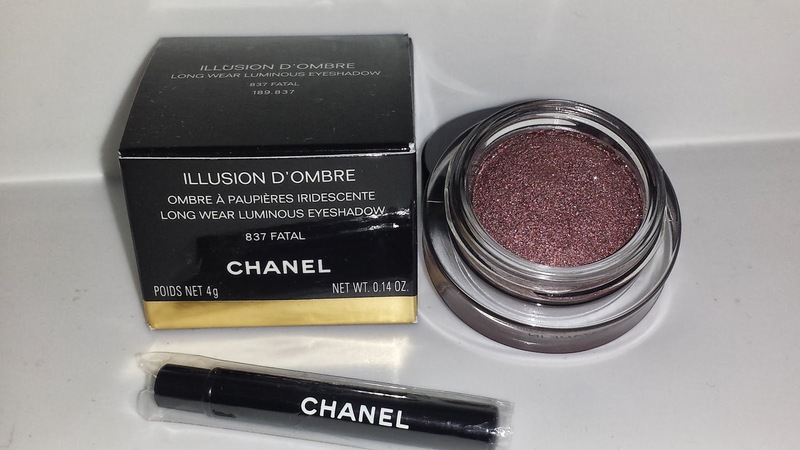 Around the end of September, the Chanel 2013 holiday collection (check out the link below for more information) started arriving at major department store counters. One of the items I purchased from the collection was 837 FATAL. 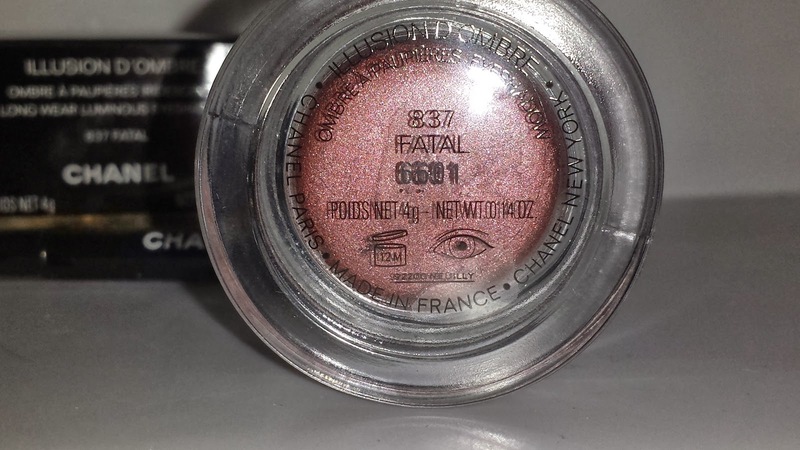 This limited edition cream eyeshadow currently retails for $36.00 USD and it contains .14 oz of product. There were two Illusion D'Ombre long wearing luminous eyeshadows released with the collection, the other was 827 Initiation, so be sure to check out the link below for my review of it. Chanel describes 837 FATAL as a silver purple however when swatched and applied it is a beautiful shimmery cranberry with slight hints of brown and purple. The shimmer effect translates more as a metallic frost finish rather than sparkle or glitter which I am really happy about. The texture of the eyeshadow is creamy and smooth. 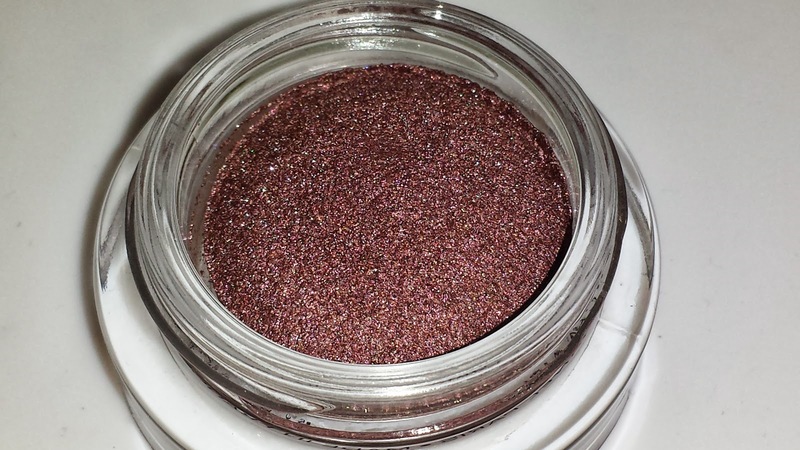 It does apply rather sheer but this will allow you to build up the intensity of the color. 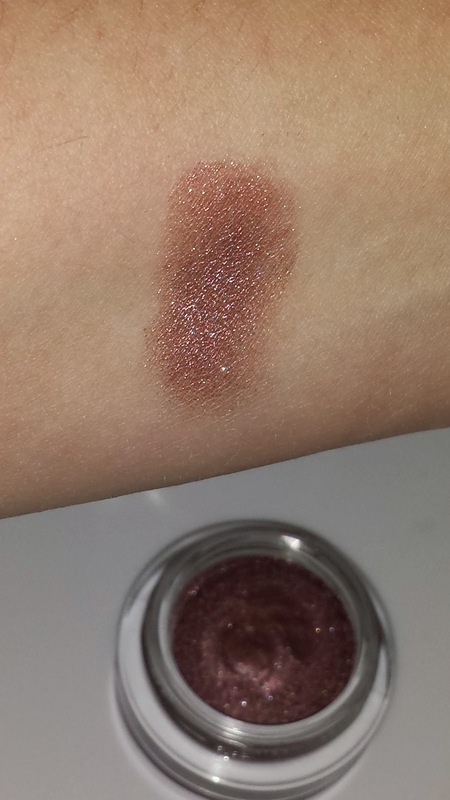 When worn without a base the eyeshadow lasted six hours with slight creasing and some fading. When I wore a base underneath I experienced a longer wear time of at least ten hours and minimal fading or creasing. That color is very pretty.